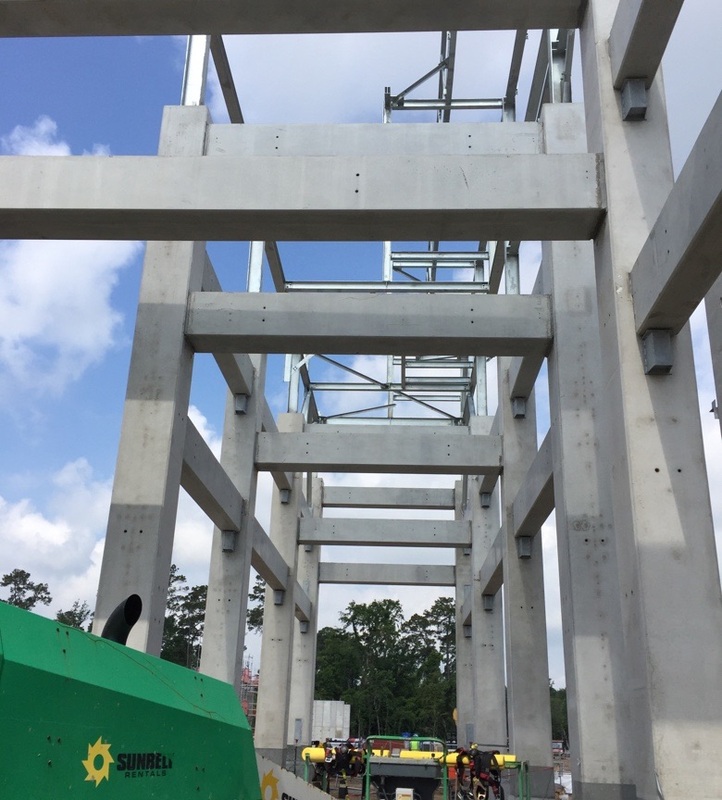 When Tindall first submitted their proposal for this petrochemical plant’s pipe racks and process structures, the plans called for cast-in-place concrete construction. This required Tindall to create a precast alternative plan. The proposal was accepted by the EPC as the best emulation of cast-in-place that was submitted. Tindall also had two massive plants just a few hundred miles on either side of the project. Combined with substantial in-house engineering experience with industrial projects, EPC felt certain that Tindall could meet this demanding schedule. With the new plan in place, Tindall arrived on site one month ahead of schedule. The original timeline called for the placement of eight precast elements per day. With Tindall’s design and on-site training, the erector was able to erect at an impressive rate of up to 20 pieces per day using only a small crew. This rapid engineering, fabrication, and erection allowed the project to be delivered to the site on schedule, within the scheduled four-month window.